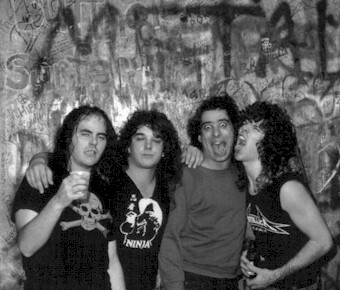 The band was formed in 1984 in Staten Island / NY, and first they played only cover songs from their idols Judas Priest and Iron Maiden. At this time the line up was Michael Smith (voc), Edmund Varuolo (guitar), Pat Donofrio (guitar), Bob Boch (drums) and Jimmy Gellentien (bass). 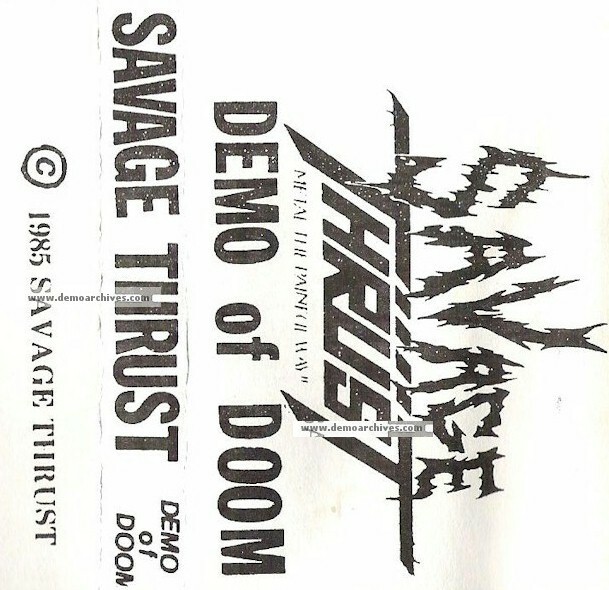 Soon they wrote their own songs and which were more powerful then their old heroes, and released the "Demo Of Doom". 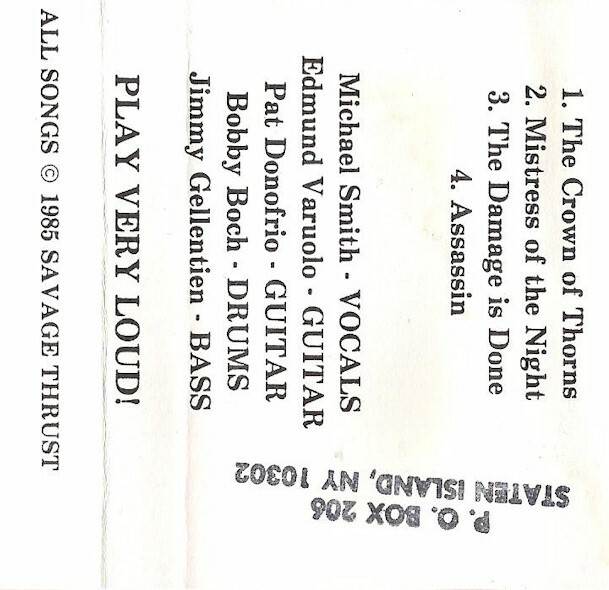 The song "Crown Of Thorns" was also released on the "Speed Metal Hell Vol II" compilation. (New Renaissance Records) ....They planed to record songs for an EP, but instead they recorded the demo "Live Pain" and soon followed with a indy-financed single called "But Soon Revenge"
Pro printed thick covers. No lyrics. Regular Tapes. Came with a bio page.